Our college has, for many years now offered a one year Certificate in Tourism and Travel that has successfully prepared large numbers of students to work as airline cabin crew, travel consultants, tour guides, holiday representatives and front-of-house jobs within the tourism industry. Conscious of increasing globalisation of the tourism industry, the college has for many years been an accredited centre for the EU Leonardo Da Vinci Programme, which is aimed at increasing the employability and language skills of European students by exchanging good practices regarding the teaching and learning needs within organisations. The result is that the college’s tourism graduates have an opportunity for an all expenses paid work placements abroad each June with yet another group presently preparing to head to France in the company of Language Teacher, Siobhán Keating. And the good news for the future is that Templemore College allocation of places on the Leonardo Programme has been doubled to provide the college’s tourism graduates with a greatly enhanced opportunity to work overseas in the coming year. Welcoming the increased allocation under the Leonardo Programme, College Principal, Dr. Noel Colleran, said that ‘the international job market increasingly requires internationally mobile young people with appropriate education and language skills. 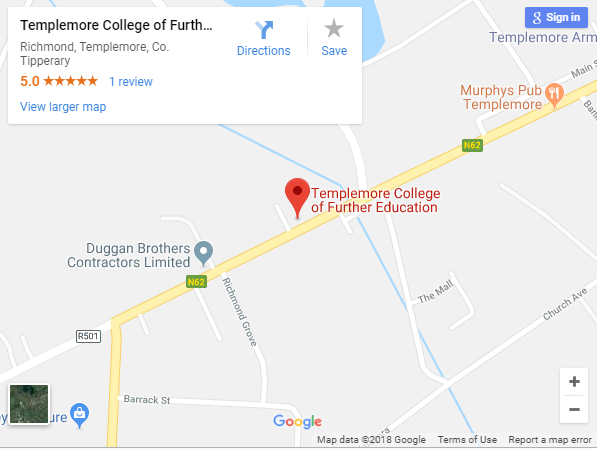 At Templemore College we provide employment specific education equipping each student with the competencies necessary to find employment in an increasingly competitive marketplace. Taking annual holidays and short breaks has now become an imbedded part of our culture. This means even in difficult times, there are still opportunities in the travel and tourism industries, but only for those with appropriate skills.